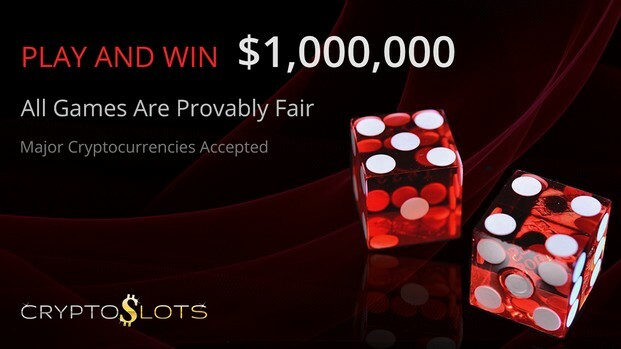 Crypto Slots Casino is a new instant play online casino in the Slotland Group. Crypto Slots only accepts Bitcoin, Litecoin, and Bitcoin Cash as banking options and it is relatively anonymous because only an email is required for signup. The game selection is small, at 22, but there is a $1 million jackpot spin. Please share your own Crypto Slots Casino Reviews below or in the casino directory. ★ Now accepting Monero (XMR) – Popular, High Privacy Crypto. ★ Brand new Crypto Lotto gifts players thousands every month! Tickets are earned by spinning slots and 20 Winners are chosen per lotto. ★ New slots Blazing Wilds and Deep Blue will land on player's screens this March, with many more games to come! Iamnicksnow, That's great to hear! Have you cashed out from any in the group before? I do not play at this group myself.